Need a Dedicated Utah Violent Crimes Lawyer? Have you been charged with a violent crime in Utah? There are all types of violent crimes in Utah. Assault – Assault is when one person uses unlawful physical force on another or threatens to do so in a way that puts the potential victim in imminent danger. Assault is the criminal charge that is most often brought when people get in fights such as bar fights, skirmishes at home, etc. Aggravated Assault – Aggravated assault is an assault that results in serious bodily injury or one that is committed with a dangerous weapon. For example, if in a bar fight one of the parties involved then pulls out a gun or knife, he will be charged with this crime, which is a felony rather than a misdemeanor like a simple assault. A Utah violent crimes lawyer at Salcido Law Firm has the experience necessary to defend against these serious charges. Mayhem – Mayhem is when someone commits an assault and it results in the severing of one or more of the victim’s limbs, such as a finger, arm, or leg. Robbery – Robbery is a mix of a property crime and a violent crime. It involves the theft of property from an individual’s person through the use of force. The common purse thief at knife point is a good example of robbery. Murder / Homicide – There is homicide and there is murder. Homicide can be negligent, such as what happens with vehicular homicide. Murder is an intentional act. Additionally there homicides that can occur because of a moment of passion, such as manslaughter. For any type of homicide case you can count on Salcido Law Firm PLLC to give you the best legal representation. Domestic Violence – A Utah violent crimes lawyer can also help you with domestic violence charges. Domestic violence is any violent act that occurs between cohabitants or people who were cohabitants at one point or another. Domestic violence is actually a category of crime and not really a crime itself. For example, if a wife hits a husband in the face, it is considered an assault, but the charge will actually be “assault (domestic violence)”. The added moniker of domestic violence carries with it some peculiar penalties such as not being able to carry firearms for a prescribed period of time. Harassment and Stalking – These crimes are typically brought against a spurned lover or against someone who wants a relationship with someone who doesn’t want a relationship. We have seen some pretty interesting stalking and harassment cases at our firm. Many of such cases are bogus, which is why it is so important to have good counsel on your side. 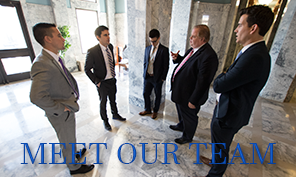 Each violent crime involves unique elements, each of which the state must prove beyond a reasonable doubt in order to obtain a conviction and that is where a Utah violent crimes lawyer comes in. A thorough defense requires analyzing every element of the crime and identifying the holes in the state’s evidence. A Utah violent crimes lawyer at our firm will provide you with a thorough defense and will work diligently to ensure that every one of your rights are protected. If you have been charged with committing a violent crime you will need experienced, competent, and hard-working representation. Let a Utah violent crimes lawyer at Salcido Law Firm protect all of your rights including the right to a fair trial. Whether you have been charged with a simple assault or negligent homicide we will protect you, so call 801.413.1753 or email us today and Get Protected! We will be able to tell you within a matter of minutes how your case is looking from the standpoint of both the defense and the prosecution. It may be that your case will be eligible for a dismissal. It may be that your case will have to be tried in front of a jury. Whatever our assessment you will know that your defense will be secure and we will provide you with the type of services you deserve, because after all, every one is innocent until proven guilty. When you call Salcido Law Firm you will get a free consultation with an attorney, who will go over your case with you and discuss your options. At Salcido Law Firm we are dedicated to protecting individual rights and forcing the state to act in accordance with those rights. Protect your rights and talk to a Utah violent crimes attorney at Salcido Law Firm. Additionally, there are victim advocate programs in various counties and cities. Click here for a full list of those programs. A Utah violent crimes lawyer at Salcido Law Firm may be able to give you additional information. Criminal Mischief – Damaging or destroying the property of another can result in jail or prison time depending on the value of the property damaged or destroyed. Disorderly Conduct – This is the catch-all crime that cops will charge when someone is just acting rowdy or rude in public. Juvenile Violent Crimes – These type of crimes can range from petty assaults to Serious Youth Offenders who have been accused homicide and aggravated assaults resulting in serious bodily injuries. Reckless Endangerment – One of the laws the Legislature has imposed to prevent people from making stupid decisions that place others in physical danger. Discharge of Firearm from Vehicle (drive by shooting) – Yes, there is a separate law that prohibits drive by shootings. Domestic Violence in Presence of Child – If a kid is in the home and you are fighting with a cohabitant, you better believe you’ll get hit with this separate charge. Domestic Violence Victim Defense – Often times the victim of domestic violence wishes to not testify or to pursue the charges. Those victims can get bullied by prosecutors and victim advocates if they don’t have an attorney to represent their true interests. Protective Orders – There are civil protective orders and criminal protective orders. Criminal protective orders are generally imposed upon the initiating of a domestic violence case or at sentencing. Civil protective orders can be obtained by a party who has been the victim of abuse or domestic violence. Abuse of Vulnerable Adult – The law looks at vulnerable adults akin to minors and seeks to protect them from would-be scammers or violent offenders. The penalties associated with this type of crime tend to be quite severe. Child Abuse – What’s really interesting about these type of charges is the fact that they can be the lowest of misdemeanors but because it read “child abuse” on a background check everyone assumes you were charged with a heinous crime even though you may have just left you kid in the car for 30 seconds when you dropped off some library books. Kidnapping – A very serious crime for which judges lay down harsh punishments. Make it an aggravated kidnapping and you’re looking at minimum mandatory prison sentences. Attempted Homicide – The consequences of attempting to commit manslaughter or murder can be as serious as committing the actual act.